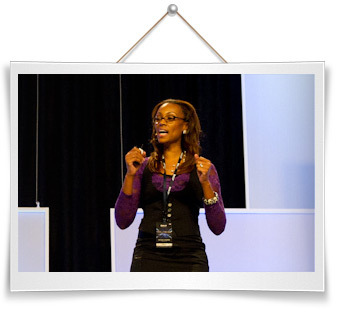 From homeless, broke and on welfare in 2007 to a powerhouse trainer and online entrepreneur, Nicole S. Cooper, is an Internet Marketer and Monetization Consultant helping you turn passion into profits online. Who would have thought a troubled teenager from South Central Los Angeles, who was told she’d never make it, would become the catalyst to change in so many people’s lives. With nothing more than a laptop and a relentless drive to succeed, she has created a million dollar empire from scratch by leveraging Social Media and a few simple Internet Marketing Strategies. As a motivational speaker, blogger, and industry leader, Nicole, a married mother of 2, has one goal. To add more value to your life by giving you the systems, tools and blueprints for creating automated income on the internet by monetizing your passions and God given talents. 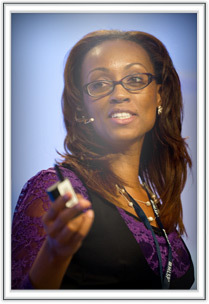 With a global reach from the USA to Africa, Nicole has been able to impact and inspire individuals all over the world, helping them go from lost and discouraged about their future to connecting with their purpose and finding the perfect career path that allows them to operate in their strengths. Nicole is living proof that anyone can change their life by simply saying YES to a better future…and she’s done it all from her couch! This marketing maven integrates motivational messages that not only inspire, but teach real money-making principles and skills. 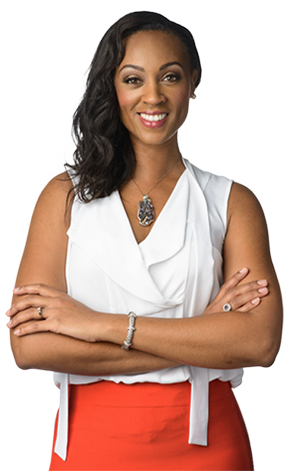 From entrepreneurs to real estate agents, corporate professionals to athletes, Nicole is known to deliver the highest quality Speeches, Mentorship and Personal Development Training in the industry. Her mission isn’t just to inspire and motivate. Her goal is to impact people into action, where they can put legs to their desires and focus on getting one thing…RESULTS! She doesn’t just talk the talk, she walks the walk, many times sharing her daily activities through her video blog. Nicole has built a team that is committed to getting results, and through her raw and real videos, products, podcasts, training systems and online events, you’ll learn first-hand what it takes to build and maintain a 6-figure enterprise on the internet. 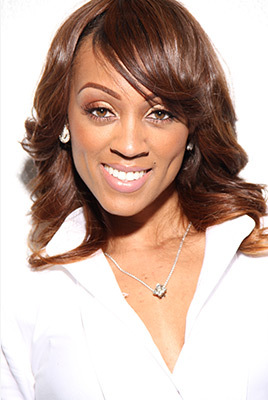 She’s the creator of The Up and Coming “Online Biz Professionals Academy”, “6 Figure Entrepreneurs Academy” (previously known as 6 Figure Career Academy), as well as the highly coveted “Money & Marketing Success Plan Workshop”, and has been tabbed as one of the most dynamic up-and-coming, online marketing experts. In today’s world, people have hit walls with chasing the American Dream, only to live a nightmare. This speech is designed to bring awareness to those that adamantly desire to climb the Corporate Ladder, to make sure that when they get to the top, that it’s not leaned up against the wrong building! How to identify what types of digital marketing skills are best suited for your personality and skill set. There’s no secret that technology has taken over and everything is being dominated through smart phones, tablets and any means of mobile devices. With the economy making a shift to all things technology, it’s time for the educational and corporate world to do the same by modifying their curriculum to accommodate demands in the technology space. In this speech, Nicole focuses on bringing awareness to the various specialty areas that are in high demand in the Digital Marketing Industry and, that are both lucrative and enjoyable. Her ability to turn complex ideas into simple practical steps is what blows the audience away. What may seem like a far-fetched opportunity in the technology space becomes just a few simple steps from becoming your reality as you hear her simplify the secrets to dominating in this industry and winning clients over with impeccable service that will have you swooning with referrals! Nicole’s cutting-edge speech and workshop has totally blown people away and given them a whole new perspective on what “work” is in today’s times, and how to become the master of your own fate professionally. The audience will be racing to the stage to thank her with the amount of clarity they will receive, having the ability to know EXACTLY what they need to do to give their careers a fresh start! Automate your marketing so you’re not bogged down on the computer all day, but instead, set your business up where you can focus on the things that make you money! The Internet is the best source for any business or brand to position themselves. From tweeting on Twitter to engaging in conversations via Facebook Posts, there is a strategy behind every single activity, and this is what I’ll share with you in this speech. Building a brand requires a delicate and strategic approach… especially online. And if you want to become a Master of your own Message, this is your chance to get proper insight and guidance on the most important strategies to building a successful and lucrative brand online. There are moments in our lives when we are struck with the realization that what we’ve been doing isn’t a clear reflection of who we are and what we desire to do. Instead, we want to begin pursuing things that bring us the greatest joy and satisfaction with hopes of turning those things into our careers. In this speech, Nicole helps to paint a clear picture of turning your Ideas into a Profitable business plan, while also turning your Passions into profits. After hearing Nicole cover this topic, you will be inspired and very clear on what it is you MUST do to go from Idea, to building a business around a life you love that is extremely profitable!